Quick – list the Twelve Apostles. There’s Matthew, Mark, Luke, John … and Bartholomew. Thanks to Christina for suggesting our Baby Name of the Day – and to Sarah for suggesting it be updated! Bartholomais comes from Aramaic. It means son of Talmai, or maybe son of the ploughman. Most accounts say that he traveled to India, and later Armenia. Legend says that he converted the King of Armenia before being martyred. Some scholars speculate that he’s the same figure as the New Testament Nathaniel, but there’s no connection between the names. The name occurs steadily throughout the historical record. Portuguese explorer Dias became the first European to sail around the Cape of Good Hope. Christopher Columbus’ younger brother also answered to the name. Italian craftsman Cristofori made instruments. He is considered the inventor of the piano. A lengthy list of painters, sculptors, historians and other notables from the 1200s onward suggests that this name was fairly common over the centuries. There are at least seven saints Bartholomew, along with another dozen Blesseds. An early 1800s Italian saint answered to the feminine form – Bartolomea. Not every bearer of the name made this world a better place. 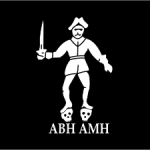 Welsh pirate Black Bart amassed a considerable fortune raiding ships in the early 1700s. Born John, the bandit adopted his alias at a young age. A second Black Bart robbed stagecoaches in the American West in the 1870s and 1880s. Born Charles Bolles, this Black Bart made his reputation as a gentleman, known for leaving behind poems after his robberies and never firing a shot. Dr. Seuss’s The 500 Hats of Bartholomew Cubbins was published in 1938. Seuss set his story in the feudal Kingdom of Didd, where young Cubbins could not doff his hat to the king. Every time he removed it, another one simply appeared in its place. Eleven years later, Seuss used the name again, in a sort-of sequel titled Bartholomew and the Oobleck. The 1949 story follows the adventures of a young boy rescuing his kingdom from sticky, green Oobleck, raining from the sky. Nancy lists this name as a Victorian favorite, and there’s no question the name appears in English over the years. But it has faded from use in the US. It appeared in the Top 1000 most years from 1880 into the 1910s, and a few times after that. 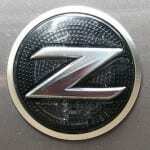 In the most popular year, just 75 boys received the name. Bart fared better, peaking around 1959. By the late 1980s, just Bart had also exited the charts. The eldest son of Homer and Marge Simpson debuted on The Tracey Ullman Show back in 1987. The animated family quickly became a sensation, and remains the longest-running American scripted prime-time television show. He answers to Bartholomew JoJo Simpson, but rarely do we hear his full name on the show. With names like Sebastian, Benjamin, and Jeremiah in the US Top 100, Bartholomew could fit right in. Possible nicknames include Bate, a good alternative to Bart. 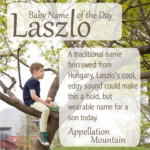 If you like your boy names long and traditional, this one might belong on your list. What do you think of Bartholomew? 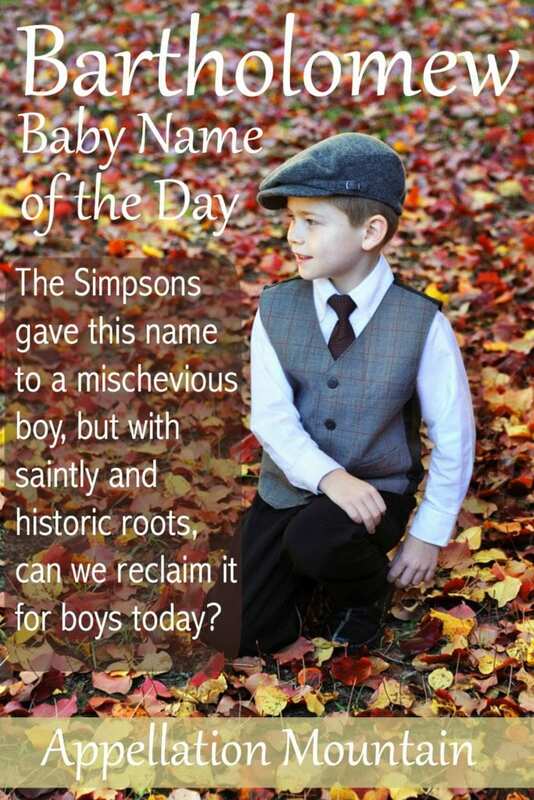 Would you consider this name for a son? This post was originally published on March 18, 2009. It was substantially revised and re-posted on September 12, 2016. I went to a high school with a cute, friendly, well-liked guy called Bart and now he is my first association with the name, putting Bart Simpson a very distant second. After reading the other comments on here, I have determined that it is my responsibility to somehow use my extensive lack of connections to get a similar character into the popular media so other people can also have such a powerful good association. LOVE! SilentOne, I often feel like I need to wage these campaigns on behalf of neglected names. This post is no longer about bartholomew. This is belated, but I love Bartholomew! It’s friendly and quirky and classic all at the same time. Everyone knows it, but no one has the name. That’s a great combo. I love Bartholomew, one of my first name loves actually. I actually really like Bart and Bartie, and wouldn’t mind having a son named Bart in the least. It sound really sweet and cool. My father’s name is Arthur, nn Art, and having his name rhyme with fart has not hurt him in any way. I used to know a Bartholomew nicknamed Bard, another cool nickname. I don’t think I could personally ever name a child “Bartholomew” — a pet, yes, a child, no. That being said, I don’t think it’s a distasteful name in and of itself, I just don’t see a modern child wearing it well. Incidentally, the Biblical Nathanael/Nathaniel has historically been considered to be another name for the disciple Bartholomew since: a) it was very typical for men at the time to go by more than one name, and b) in the gospels Matthew, Mark, and Luke Bartholomew is always mentioned in the company of Philip and in John Nathaniel is mentioned with Philip. Sorry, I’m with photoquilty on this one – he SCREAMS Bart Simpson to me, and I really dislike that show, so he’s not for me. He just seems a bit too scarily formal to me, as well – like a creepy old cathedral type thing. I like the full name Bartholomew, don’t care for any of the nicknames. It’s a recognizable name and I would love to see someone famous carry it off so that perhaps somebody uses the name for a little one. It IS a long name, but I love its sounds. When I was younger, I knew a Bartholomew who attended my church – it was right around the time when The Simpsons were getting popular – he was a few years younger than I was, but I always wondered what effect that had on him. In any case, I don’t dislike Bartholomew, I kind of like it. But I’ll second Photoquilty – Bart rhymes with fart. Not good. Bate… eh. It’s more of a “nice in theory” name to me than a practical one. But yeah, I think he’d make a fabulously offbeat middle! (Now if I didn’t have a nasty, weird cousin named Bartholemew (who goes by Tolly, Emmy Jo!) I’d think about it myself, for a middle. It’s got the sort of dramatic feel I generally like on my boys. Too bad about the cousin, and that yellow freak. Yeah, take that little yellow wonder, Bart Simpson, into account and there is absolutely zero chance of my ever using the name Bartholomew. Also, Bart rhymes with fart. Thanks for the info, though! I like Bartholomew! It has such a soft, kind sound. I’m not sure how well it works, though, because of its lack of appealing nicknames. I actively dislike Bart, and I’m not sure I could get behind Bate or Baty. My grey kitten goes by “Mew” or “Mew-mew” for short, but those wear much better on kittens than they would on a human child. Since the stress in the name falls on the second syllable, I wonder if you could make a nickname from that syllable. (Kind of like how Elizabeth shortens to Liz or Lizzie more easily than Elle or Ellie.) Bartholomew could yield… Thol? Tol (pronounced like “tall”)? Tolly? Hmm… not sure those work so well either. […] Bartholomew – If Dr. Seuss wrote young adult novels set at a school of wizardry, he’d have called his hero Bartholomew.